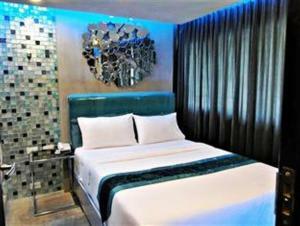 Located in the heart of Bangkok City, Blutique Hotel offers simply furnished rooms with en suite bathrooms and the convenience of a 24-hour reception. Free Wi-Fi is available in the public areas. 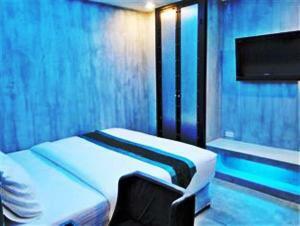 Pratunam shopping area is a 5-minute walk from Blutique Hotel. Ratchaprarop Airport Rail Link and Siam BTS Skytrain Station are a 5-minute ride away. Chidlom BTS Skytrain Station and Central Chidlom Shopping Centre are a 10-minute ride from the property. 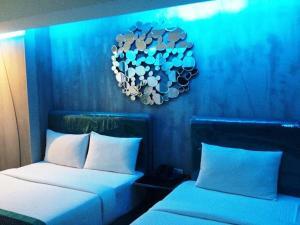 All rooms at the hotel offer air conditioning, a flat-screen TV and a safety box. They also have a fridge and a minibar. 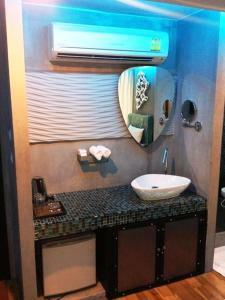 Hot and cold shower facilities are in the en suite bathrooms. Blutique Restaurant, located on the lobby floor, serves a selection of Thai cuisine. Air-conditioned room offers a seating area, a flat-screen TV and a fridge. En suite bathroom comes with shower facilities. 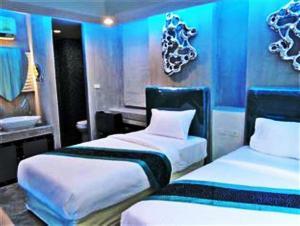 Rate: THB 1100.00 ... THB 1700.00; select dates below to get current rates. Larger than Superior rooms. 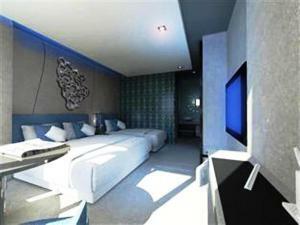 Includes air conditioning, a flat-screen TV and an en suite bathroom. 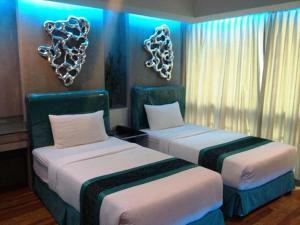 Rate: THB 1400.00 ... THB 1700.00; select dates below to get current rates. 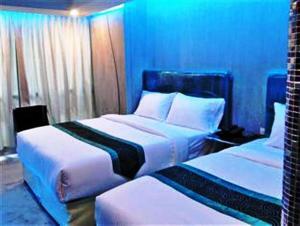 Larger air-conditioned suite for 3 persons. Includes a seating area, a flat-screen TV and an en suite bathroom.